HERE is one of the fastest Ferrari's ever made, I present to you the 2011 Ferrari 599 GTO. This particular Ferrari is equipped with a 6.0-litre, 48 valve front-mounted 12-cylinder engine which can produce up to 493 kilowatts (670 horsepower) at 8250rpm and 620 Newton metres of torque (457 pound-feet of torque) at 6500rpm. The emissions from this spectacular engine come out of the four exhaust pipes that stick out of the rear diffuser, and they produce an exhaust note from heaven. Connected to the engine is a six-speed automated-manual transmission, which can shift within just 60 milliseconds. This makes it one of the fastest shifting cars on the road. This gearbox also connects to the shifting paddles behind the steering wheel for manual control. 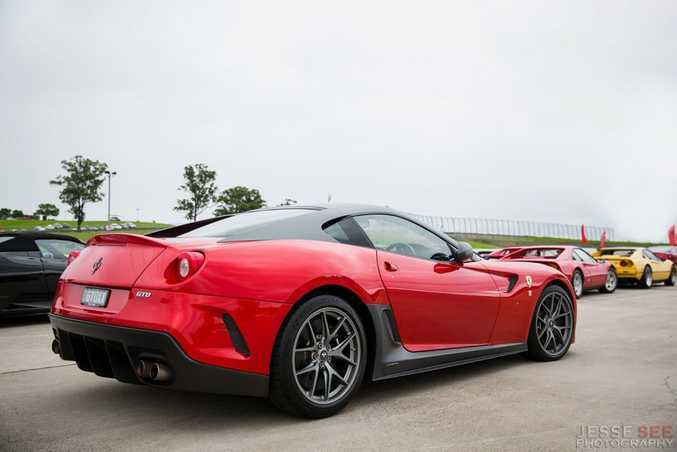 The 599 GTO also has a kerb weight of 1605 kilograms (3538.4 pounds). Ferrari first released the 599 GTB in 2006 when it replaced the 575 M Maranello. They produced the model until production ended in 2011 with the GTO. On April 8, 2010, Ferrari released the official details for the GTO, and at the time it was the fastest road-going Ferrari to ever lap their Fiorano circuit with a time of one minute 24 seconds. This was one second faster than the previous record holder, the Ferrari Enzo. They also announced that it was a road-going version of the 599XX, a track car this is not road-legal. It is too based on the 599 GTB, but extremely stripped to its bare essentials. Later that year, Ferrari had announced that production had already begun on the 599 GTO, and that there were only 599 being produced (hence the name, 599). Some other features that are equipped with this particular Ferrari include speed sensitive wipers, 20-inch, five-spoke alloy wheels wrapped in Michelin performance tyres, double-wishbone front and rear suspension, four-wheel ABS as well as traction and stability control, an engine immobiliser, dusk sensing xenon headlights, electronic brake force distribution and front and rear parking sensors. On the interior, you can find carbon fibre bucket seats wrapped in alcantara, an external temperature display, a fire extinguisher, dual-zone climate controls for the driver and passenger, an electrochromatic rear view mirror and eight speakers. 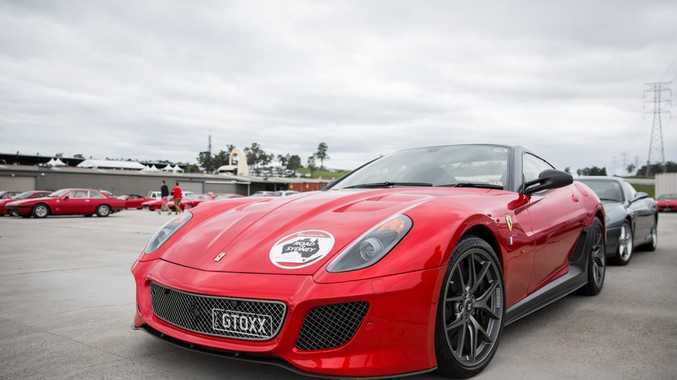 As I was saying before, Ferrari only produced 599 of the 599 GTOs, but they only shipped 10 of them to the land Down Under. You can currently buy a used 2011 Ferrari 599 GTO from Scuderia Graziani for $599,990 plus on-road costs, which is a very good price considering the original price tag was more than $1 million.